World Design Consortium is interested in design of Landscape Assessment and Design, Gardening, Landscape Management and similar projects for interested parties. Please kindly contact WDC for Landscape Planning and Garden Design consultancy, tenders, jobs, offers and requests. 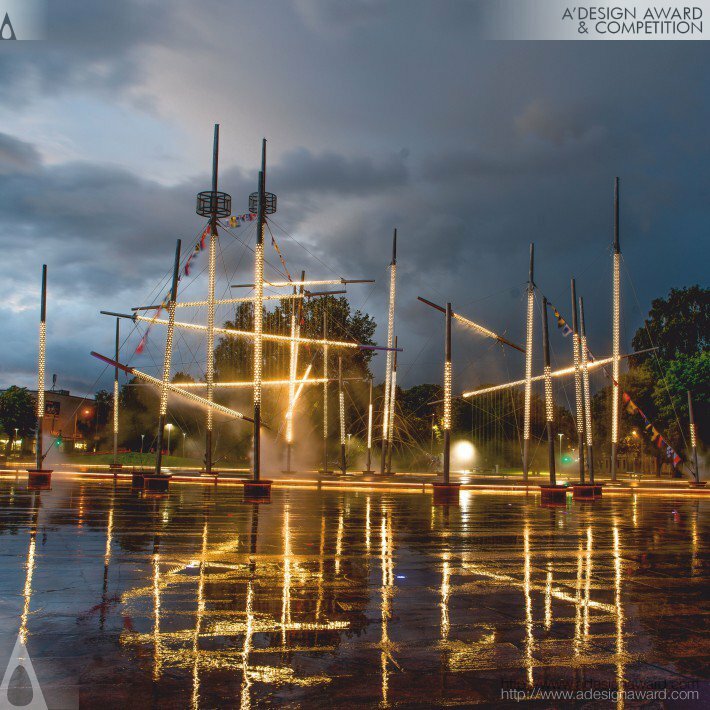 Below, displaying an award winning project by FD/18528453. 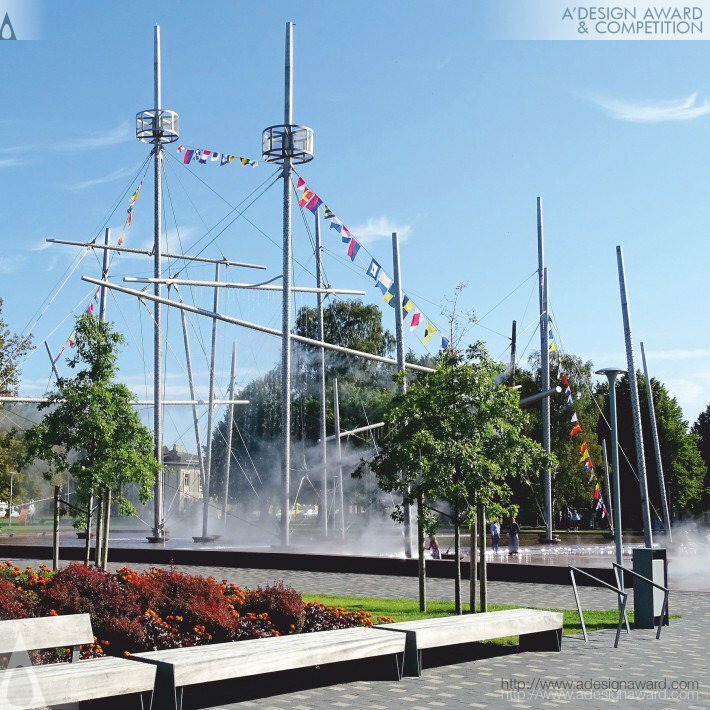 Outdoor design of the 3.6 ha Lielais Square and its focal point - the fountain Frigate Wallfisch reflects Ventspils identity in a contemporary and universal environmental design. 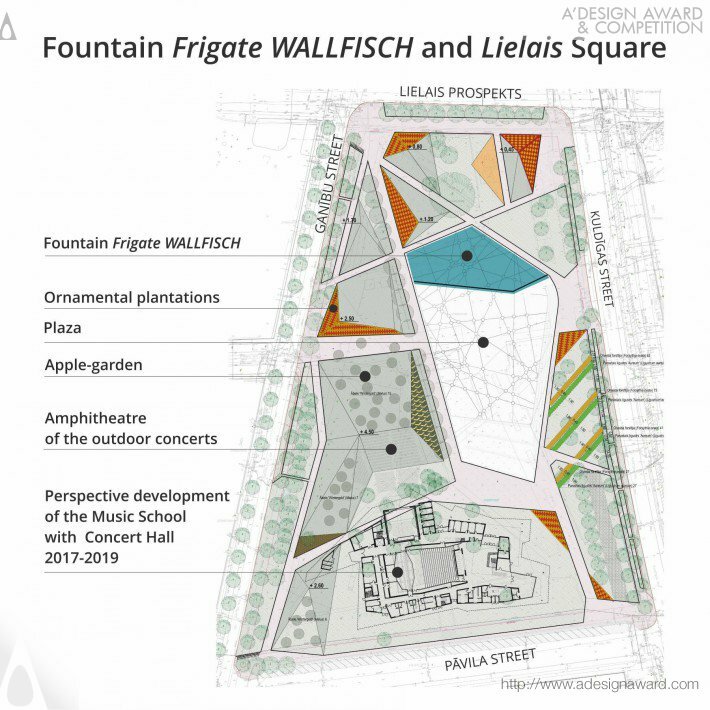 It reproduces the image of dunes transforming into the developing Music School and concert hall, elements of which complement each other– the square, the fountain and the expressive construction. Square’s complex adds value to the urban environment attracting people at all seasons and increases recognition of Ventspils. 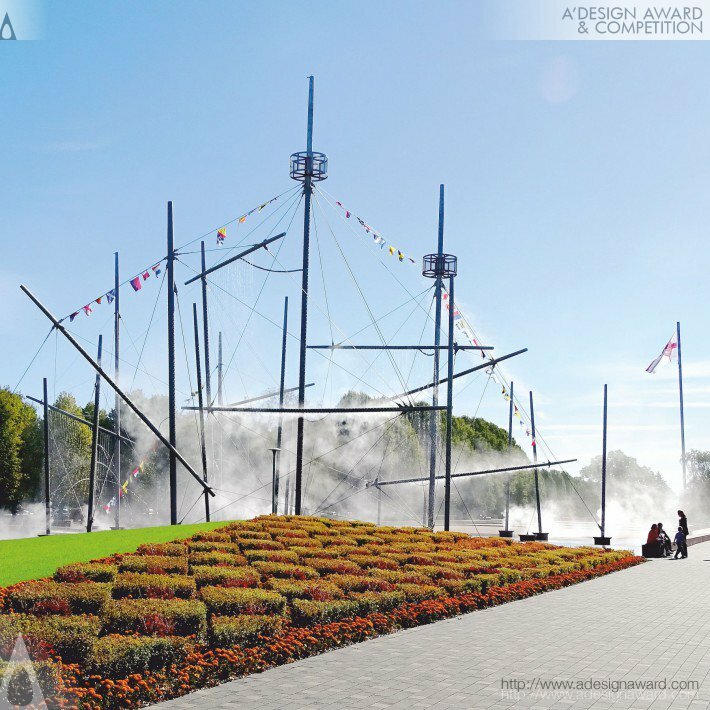 If you wish to have a very good multifunctional fountain outdoor design design, please contact our secretariat and indicate that you wish to work with FD/18528453 for your multifunctional fountain outdoor design project. We will process your request immediately and forward your requirements to FD/18528453. 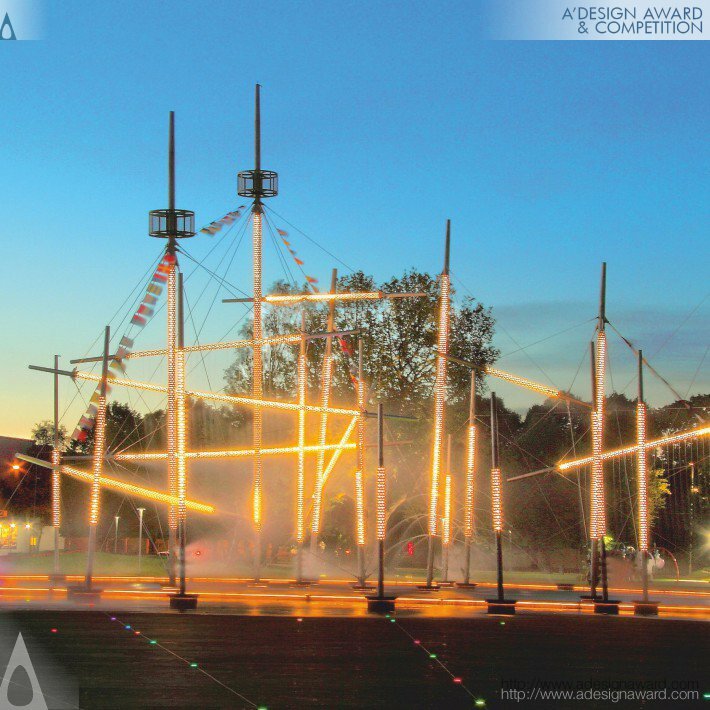 Request Consultancy for multifunctional fountain outdoor design design by FD/18528453.